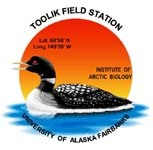 For water sampling protocol, see the Land-Water protocol accessible from the Land-Water main page on the Arctic LTER web page or at http://www-personal.umich.edu/~gwk and clicking on the protocol link at the bottom of the page. All organic matter samples (sediments, algae, animals, etc.) were dried at temperatures less than 45 degC to prevent volatization. Particulate organic carbon (POM) samples were collected from the water column by filtering as much sample water through a 25 or 45 mm Whatman GF/F filter as possible. Attached algae were collected from surfaces (sediments, rocks, plants), and aquatic macrophytes were collected using the most recent growth tissues. Zooplankton species were identified and individuals were separated by hand, then grouped by species for isotopic determination. Other benthic or pelagic organisms were separated by hand to species or to the nearest taxonomic group. Species with carbonate shells were bathed in weak acid to remove inorganic C contamination before drying and analysis. Samples for the determination of 13C-DIC were collected using serum vials following the DIC collection technique described in detail in the Kling laboratory protocol (Old DIC method). Samples are collected at depths representative of the epilimnion, metalimnion, and hypolimnion (if present) or from the epilimnion in shallow lakes. The depths were commonly 1 m, 3 - 5 m, and 8 - 9 m for lake E5 and 1 m for lake E6. The sampling depths are determined in the field and are based upon the depth profile of temperature and chlorophyll estimated by fluorescence using a Hydrolab multisensor datalogger. Samples were collected using a Van Dorn water sampler lowered to the specific depths and subsampled using large Nalgene bottles. A bubble-free subsample (no exposure to the atmosphere) was then over-filled (for flushing to remove bubbles) into 30 or 60 mL serum vials. A supersaturated solution of mercuric chloride was added (0.1 mL solution per 10 mL sample) to the sample to stop biological activity in the bottle and the vial was capped with an aluminum cap lined with a teflon septa. The Ecosystems Center, Marine Biological Laboratory, 7 MBL Street, Woods Hole, MA 02543 U.S.A. Definition: A unique number assigned to each sample within the Isotope file. This number is unrelated to the sortchem. Definition: Site Name. If a soil site, the site is described in the name by general location then specific feature (watertrack,etc) then specific point (1,2,3,...). If a lake or streams site, the lake or stream name (as it is commonly known) is given. Exceptions in naming procedure are provided in the Code Information and in AK-LTER_Site_Info.xls. Definition: Depth from surface of lake, stream, or soil. In meters or lake zone. Definition: General category describing the sample type. Definition: Subcategory of "Type" category which further describes the sample. Definition: Description of sample, often giving taxonometric or filter information. This column contains the original information used to describe a sample. Definition: Percent nitrogen content by mass.